Guard tour system providers abound. Guard tour system suppliers that are also manufacturers, not as much. And then there is the rare guard tour system provider and manufacturer that created the tour software in America and supports your security guard services from here as well. GuardMetrics is one of those few guard company system providers. And this is not to say that France, Canada, India, Greece and other guard tour system manufacturers didn’t create a good product. It is only logical, however, that a security guard tour system created in America, by experts with dozens of years providing security guard services in the USA, understands American security guard company needs much better than an overseas manufacturer possibly could. Call or click here for a guard tour system provider and manufacturer who knows your needs! Another problem with guard tour systems manufactured overseas is Support. The security business is NOT like other businesses. When you need assistance, you need to speak to someone now, and you need to speak with an expert in what you are experiencing. A security guard tour system provider/ manufacturer who is located in Europe or the middle-east simply CANNOT understand what is involved in providing security to an apartment building in Miami or Detroit. And then there is storage. This concern is not a matter of who our current allies are. It is not even a matter of patriotism. The simple logic, again, is that neither you, nor your customers, want your security data stored in another country. Most guard business owners would be shocked to find out how many guard tour system suppliers store their client data in overseas servers. This is obviously not the case with the GuardMetrics security guard tour system. Every aspect of our security guard software, from manufacturing to storage to support, is done here in America. 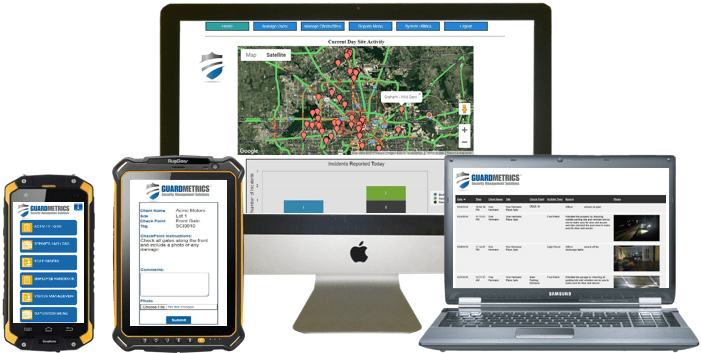 Call the guard tour system suppliers at GuardMetrics for guard tour system expertise and Support in America. So, it’s clear why you want an American guard tour system supplier, support provider and manufacturer here in the USA. Now it’s a matter of deciding which of we few guard tour software companies can best meet your needs, and all at the right price-point. And the best price also has to do with how much money we can help you make! When you add that to the mix, no one can touch the GuardMetrics guard tour system cost and benefits. You will be very pleased to find that we provide an efficient, reliable and affordable guard tour system that is simple to use and to deploy. The GuardMetrics security officer tour system and app does what you need: GPS guard tracking, mobile DARs and Incident reports, real-time exception alerts, digital post orders, a QR code, RFID and NFC tag scanning app, visitor management and facility access control, field supervisor capabilities, etc., as well as some exclusive features, like the Community Security Portal and bid pricing software that will set your security guard agency apart from, and above, the competition! 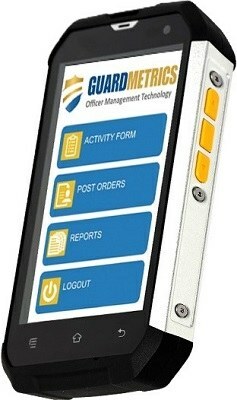 Call GuardMetrics now to demo a guard tour system manufactured, supplied, supported and stored in America. Honor, integrity, public trust, courage; these are more than words to the GuardMetrics team, and we know that the same is true for you. In a world where these standards often seem in short supply, we are proud to stand with you in the protection and service to the security of others. It is through this common code that we aim to earn a long-term partnership with you. 30725 US HWY 19 NO. © 2018 GuardMetrics. All Rights Reserved.